Few days ago, I was reading my past blog posts from way back in 2009 and 2010. I even read the comments and checked the profile of the commentator. Most of the bloggers are no longer writing. After the Facebook and Instagram, many people think writing a blog is too time-consuming. I was also caught up in the same trend. I mean, isn't it easier and more practical to just click photos and upload it to Facebook and Instagram, instead of writing all the details on the blog. The thing is, Facebook and Instagram is a fast moving, it's difficult to track what you have posted, even with the hashtag. Unlike a blog, where everything is properly documented. It's like a diary. We can always go back and read. Some cute moment, some ridiculous photos, and of course it warms my heart to read all those. Anyway enough of feeling nostalgic. Originally, I wanted to make the pleat slightly closed, but I changed my mind. I love how the pleat turned out here. It gives a patchwork look which was my initial intention. I also made the front exterior pocket with hidden/concealed zipper. From far it will look like a slip pocket when it's actually a zippered pocket. I was thinking to finish the top without a zipper, I guess that can always be an option later. 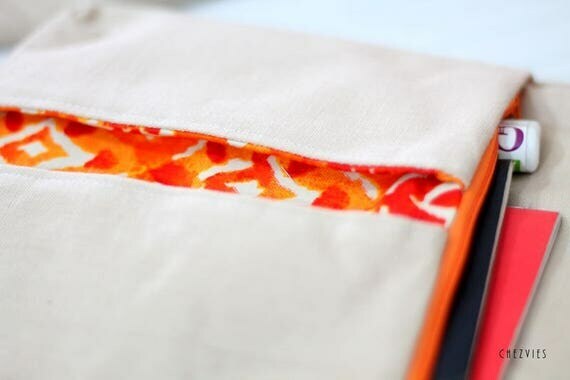 I use beige linen for the solid and an orange diamond print fabric. 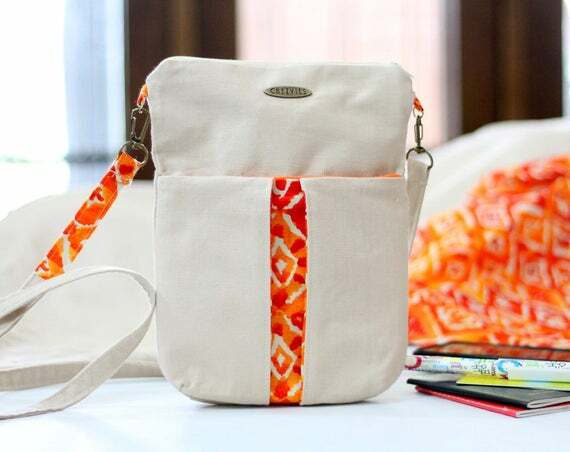 Also, don't miss the patchwork removable strap! I love patchwork strap. Besides that, I finished another mini crossbody bag from my Phone sleeve pattern. I used the kindle size for this one which turned out pretty cool. It's such a fast sewing and how scrap friendly this pattern is. The paisley fabric is just perfect, it's like waiting for the right project to come along. 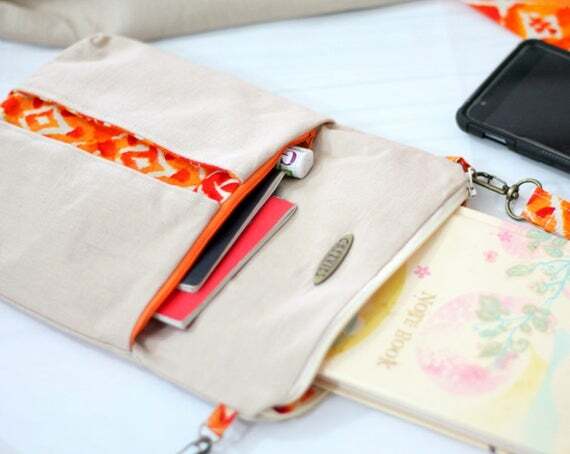 and of course the additional zippered pocket is always great option, right? Especially when you are traveling and want to keep all the small necessities with you without having to rummage the big backpack. That's all for today. I have to go and take the boys to their music classes today and I hope the weather holds. Sign up for Chezvies Weekly Newsletter to receive more tips on handmade tutorials and handmade business tips, by writing your email address in the form below.